With eight state parks, two state forests and 11 state game lands, the Laurel Highlands is full of beautiful landscape, flora and fauna. Not only is it great for a stroll through the area, but the land also makes a perfect spot for artists. If you’re looking for a bit of inspiration or a new muse, why not visit some of the wonderful sites in the Laurel Highlands? At these spots, you’ll create an amazing memory that you can also capture on a canvas or sketchpad. 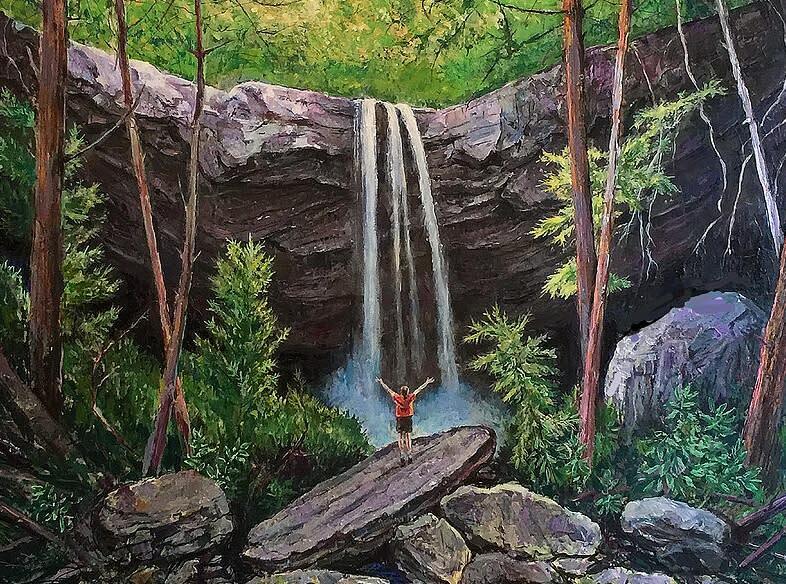 Cucumber Falls is one of the most popular and recognizable sites in the Laurel Highlands. With 30 feet of natural flowing water, it’s a great spot to set up an easel and paint. The waterfall is located in Ohiopyle State Park and is only a short walk from the parking lot. Therefore, you can easily set up shop close to the beautiful and elegant falls. A 70-mile trail from Ohiopyle State Park to Conemaugh Gorge, the Laurel Highlands Hiking Trail comes across absolutely everything you would ever want to paint. During a peaceful walk at any point on the trail, you’ll find amazing plants and flowers that would pop on any canvas or sketchpad. If you like drawing wildlife, the trail also provides access to many different animals that you could sketch. You may find toads, frogs, spotted salamander, pileated woodpeckers, chickadees, turkeys, horned owls and hawks throughout many areas of the trail. If you’re in a rut and need something to inspire you, why not visit a work of art by one of the greatest designers in history? Frank Lloyd Wright changed the way people build and ultimately how they lived. He designed more than 1,000 structures and one of his most iconic buildings, Fallingwater, sits over a waterfall in the Laurel Highlands. You can take a tour of the beauty inside and then sit outside and capture the moment forever in your artwork. 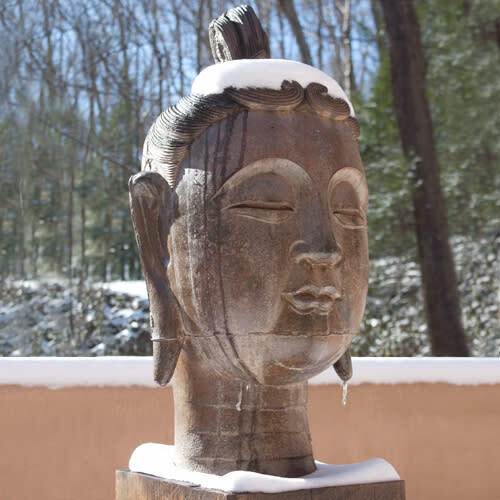 Artist: Unknown Bodhisattva, available on display in the Fallingwater Collection. Mount Davis in Forbes State Forest literally looks like a painting. At 3,213 feet above sea level, it’s the highest point in Pennsylvania and is surrounded by the beautiful landscape of the Laurel Highlands ridgeline. 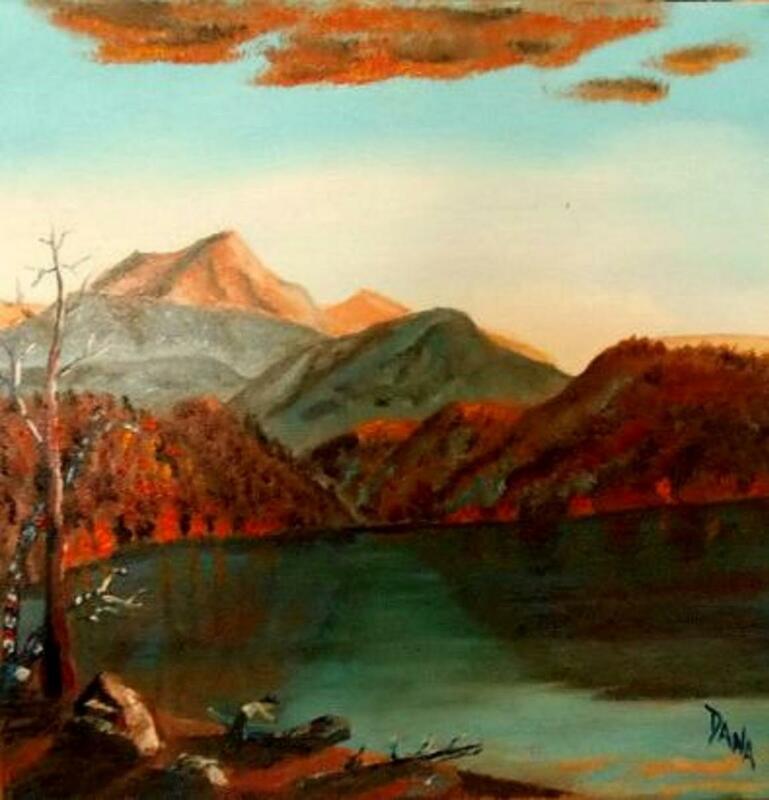 You should particularly visit during fall so that you can capture the fall foliage in a wonderful painting or sketch. Set up your easel on the lookout tower and you’ll be able to see far and wide to create a wonderful image to place over your fireplace. Laurel Highlands has no shortage of wonderful scenery and landscape for any artist to paint, draw or capture. Check out one of these wonders and you’ll be sure to leave with an amazing piece of art. Lucy Harris is a professional freelance writer with many years experience across a variety of sectors. She made the move to freelancing from a stressful corporate job and loves the work-life balance it offers her.